Australia’s very own top gun Matt Hall is a decorated RAAF combat veteran of Iraq, honoured for his heroism under fire as he supported troops on the ground in his F-15E Strike Eagle. In his time in the RAAF Matt ranked top of his class in every military flying course he took and received numerous awards including Fighter Pilot of the Year, a Chief of Air Force commendation and combat decorations from both the US and Australia. 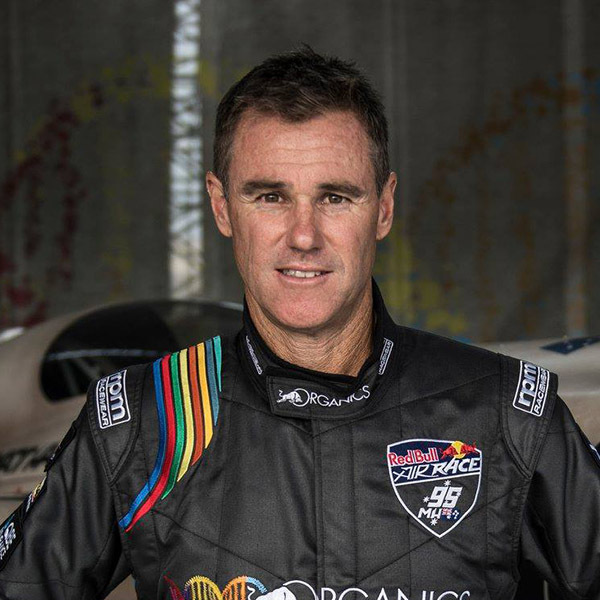 Matt is a third-generation pilot, a former RAAF fighter combat instructor, international unlimited aerobic competitor and the first-ever Australian to compete in the Red Bull Air Race World Championship – the fastest and most exciting sport on the planet. With more than 30 years of flying experience, Matt is licensed to fly gliders, powered aircraft, helicopters and military jets. He has clocked up more than 5500 hours in various aircraft. Now a full-time race and display pilot, Matt claimed silver in the 2015 and 2016 Red Bull Air Race World Championships and is proving to be a force to be reckoned with in the 2018 series.